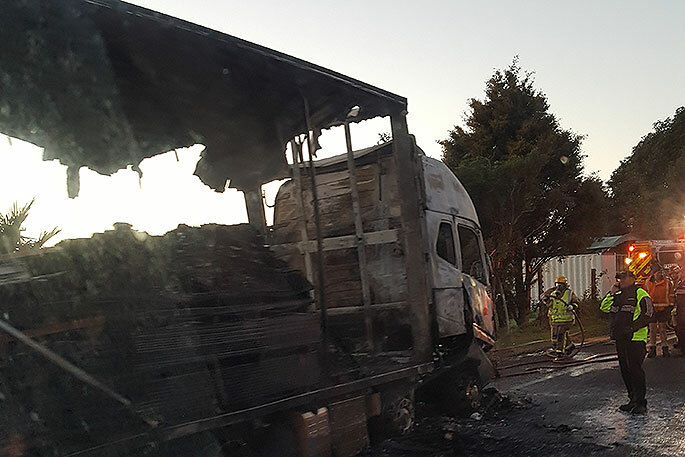 People driving to work along State Highway 2, between Katikati and Tauranga, this morning will notice the burnt out remains of a truck. A Mainfreight truck caught fire on the highway, outside Aongatete Road. "A Mainfreight truck had caught on fire and between 5.30am and 6am, it continued to burn out." A police spokesperson says police were called at 5.23am to reports of a truck fire. "It doesn’t appear that there was any injury and it’s not clear how the fire started – there doesn’t seem to have been any crash prior to the fire. FENZ were dealing with the fire, so they may be able to assist with more info. What remains of the truck. 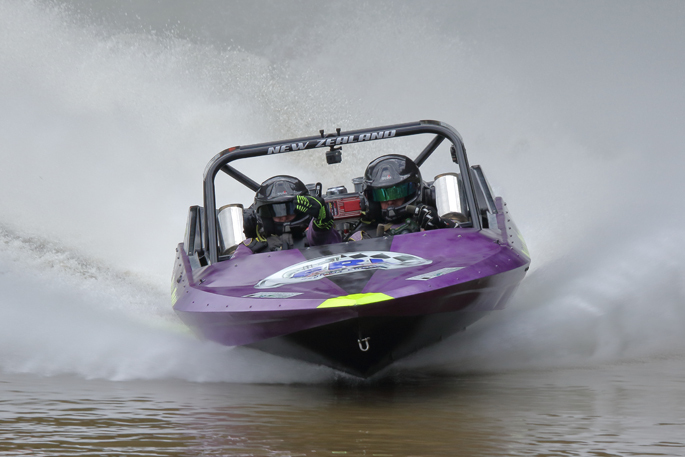 Photo: Kerri Wheeler. "One lane was opened in each direction at 6.37am. Officers from the Commercial Vehicle Safety Team will be inspecting the truck once it's been moved to a local garage." 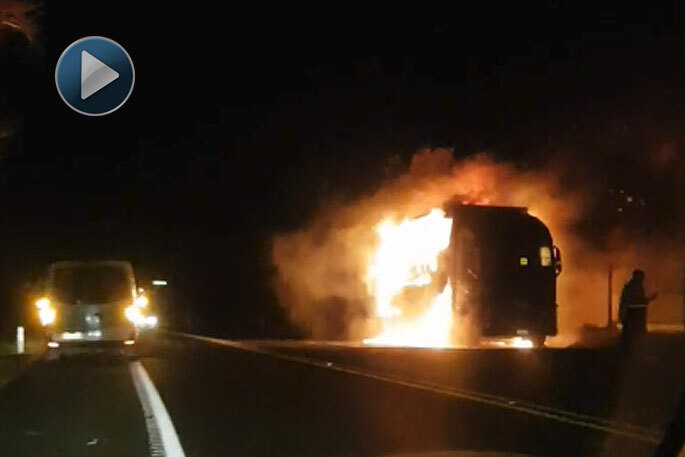 This is the second truck fire in the Western Bay of Plenty this week. 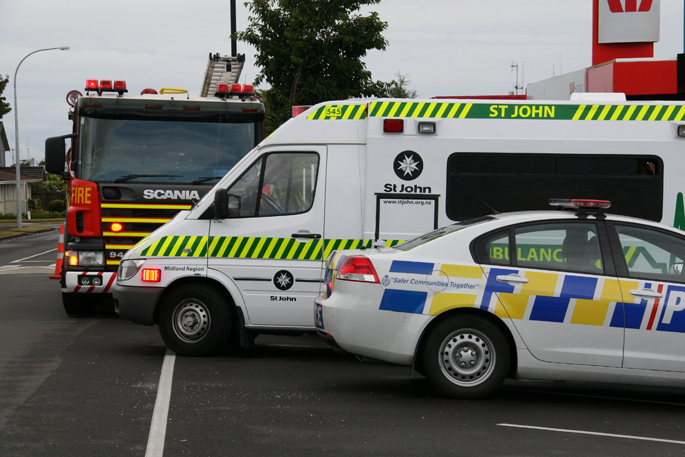 On Tuesday evening, emergency services were called to a truck fire on the Tauranga Eastern Link. That fire ans subsequent explosion was also caught on camera. Watch the video here. 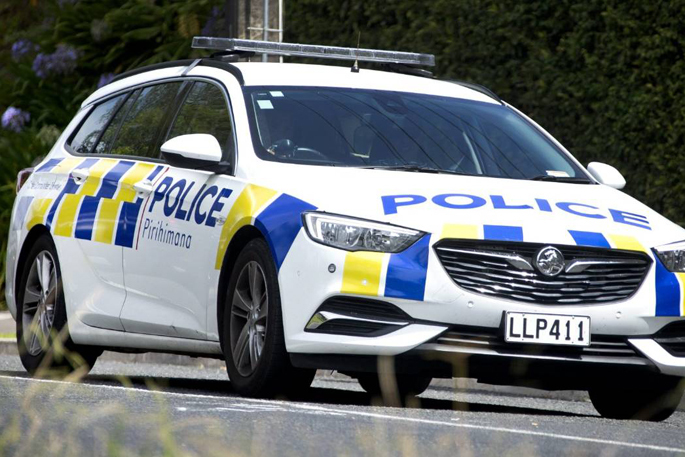 Meanwhile, police are dealing with an incident on Cambridge Road in Tauranga. A reporter who drove past the incident, says police have blocked off Cambridge Road at the Takitimu Drive overbridge. An ambulance is also at the scene.